In the first part of this week, NPQ published newswires about Goodwill Omaha drawn from the reporting of the World-Herald. Essentially, the portrait painted in a series of articles is of an organization established to serve people with disabilities, primarily by extending job and job training opportunities, but which pays far more proportionately in executive compensation than most of its peers while paying some workers with disabilities at less than minimum wage. The board takes the comments of the community seriously, and we are in the process of evaluating those as well as the issues outlined over the course of the three days of articles written by the Omaha World-Herald. We serve voluntarily because we believe in the mission of Goodwill, and we will respond in more depth after we’ve had a chance to go through our due diligence. This left the job of defending organizational compensation practices in the immediacy of the moment to CEO Frank McGree, who has been the focus of much of the reporting. McGree issued his own statement which, among other things, protested that the organization had not been given its promised time to answer questions before the paper went to press. The paper, on the other hand, said it had been stonewalled by leadership when it tried to get its questions answered over a longer period. If that is true, and we have no reason to believe otherwise, McGree made a huge communications error. Investigative reporters have a tendency go from 0 to 60 when they are stonewalled. In any case, here is a link to McGree’s response to questions that had been posed to him by the World-Herald. Question: You say you base executive pay on consultant surveys. Who are considered your peers in that analysis? Are for-profit organizations in the peer group? Can you provide us with your latest peer list? 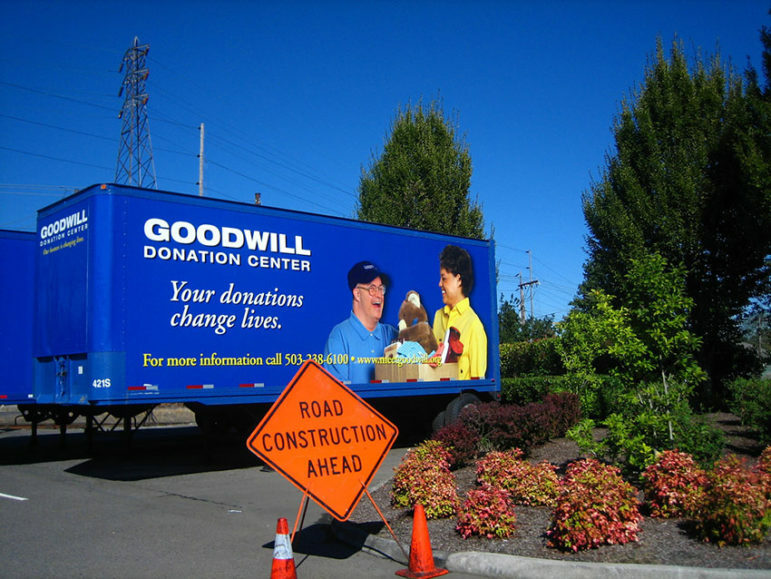 Answer: It’s complicated because there are no other local organizations comparable to our organization, and there are no Goodwill’s nationally comparable either. First of all, we are a $30 million organization with close to 600 employees across various service lines so the way we are “made up” is unique and complex. Second, because of the makeup, we are structured differently in many ways unique to the way we service out the Goodwill Mission. Most Goodwill’s have retail of course, but even within that, there are various levels of sophistication that require different approaches and things. So, you won’t get an apples-to-apples comparison. While we do compare ourselves in areas of overlap with other Goodwill International organizations, Goodwill Omaha uses other services for data including Mercer, Hay, Goodwill Industries International, and recently the organization has engaged the SilverStone Group as well. The actual list is comprised of other complex organizations facing similar opportunities and challenges and varies from year to year. Are these defenses working to date? Not if you ask Susie Buffett—yes, of that Buffett family—who heads the Sherwood Foundation, which pledged $140,000 this year for a Goodwill program training youth in construction skills. But, in our opinion, it would be hard for the board to fire a man for practices for which the board is ultimately responsible. How much of what may be wrong here was known to the board—and of the rest, how did they miss it? The World-Herald has compared this organization with others of similar type and size and has concluded that not only is the number of executives making more than $100,000 anomalous, but the proportion of the budget paid into executive salaries is also unusually high. Our focus at NPQ is less on those facts than on the compensation ratios. McGree’s base salary is $250,000 annually—high for that area, but not overwhelmingly so for managing a $30 million organization in general. But his incentive bonuses and deferred compensation, placed in comparison next to the subminimum wage they pay some workers, create a picture that’s likely unattractive to its public, who may feel that they have the right to expect something different. The community values of Modesto, California are brought into question when a for-profit business is chosen for a city maintenance contract over a small nonprofit employing adults with disabilities.